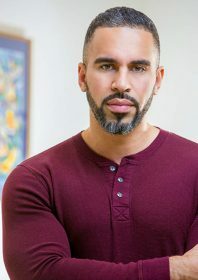 UK actor and filmmaker Joey Ansah’s imagination was sparked at an early age through the power of the classic Hong Kong action movie, Dragons Forever, and the Street Fighter video game. The son of a famous Ghanaian fashion designer father and a UK mother, Joey grew up immersed in both British and African culture. His passion was, and still is, the martial arts, becoming a famous online ‘tricker’ and skilled in Capoeira, Taekwondo, Ninjitsu and many other styles. Working as a fight choreographer, extra, stuntman and actor, his big break arrived in what Rolling Stone called “the best fight scene ever filmed”, duking it out with Matt Damon in The Bourne Ultimatum (2007). Since 2010, Joey has been working tirelessly towards bringing his beloved Street Fighter story to TV screens, following a short film (2010’s Street Fighter: Legacy), an epic web series (2014’s exemplary Street Fighter: Assassin’s Fist), and an online follow-up (2016’s Street Fighter: Resurrection). 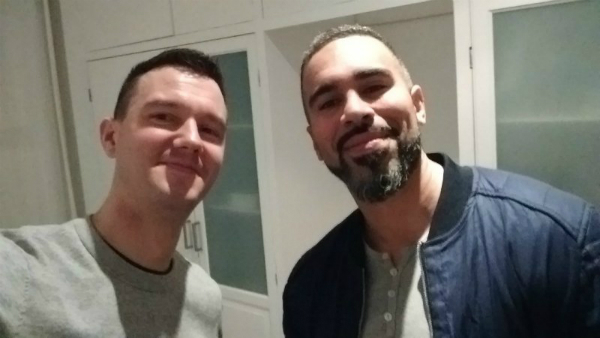 In 2018, shortly after this conversation was recorded at his London home, it was announced that eOne and the Mark Gordon Company had given the green light to a new Street Fighter TV show with Joey Ansah acting as one of its executive producers. His latest acting project is Mission: Impossible – Fallout, the sixth in the Mission: Impossible film franchise starring Tom Cruise. Next year, Joey will be appearing in Joe Cornish’s The Kid Who Would Be King and Guy Ritchie’s live-action adaptation of Disney’s Aladdin. Keep up-to-date with all the latest Joey Ansah news by following him on Facebook and Instagram. 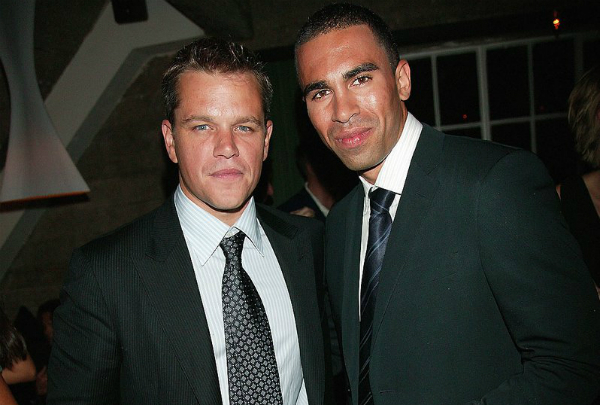 Joey Ansah (right) with his Bourne Ultimatum co-star, Matt Damon. 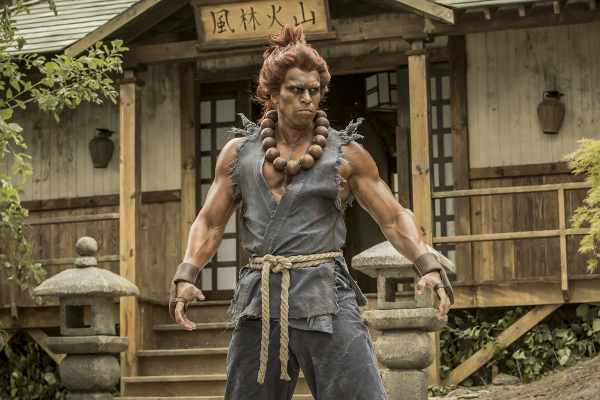 Joey Ansah as Akuma in Street Fighter: Assassin’s Fist. Kung Fu Movie Guide’s Ben Johnson with Joey Ansah.